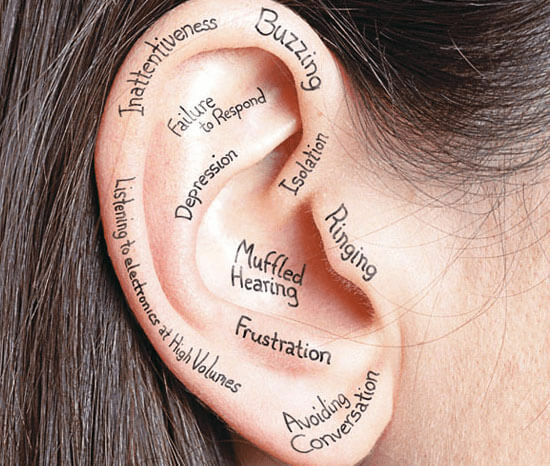 Hearing loss can be categorized by which part of the auditory system is damaged. There are three basic types of hearing loss: conductive, sensorineural, or mixed. Sensorineural hearing loss occurs when there is damage to the inner ear (cochlea), or the nerve pathways from the inner ear to the brain. Most sensorineural hearing loss cannot be surgically corrected or treated medically. A sensorineural hearing loss is a permanent hearing loss. Sensorineural hearing loss reduces the ability to hear soft and faint sounds (ie. birds chirping, blinker clicking, consonant sounds of speech). Even when speech is loud enough to hear, it still can sound muffled. A mixed hearing loss is a combination of both conductive hearing loss and sensorineural hearing loss.